Another weekend, another volcano. 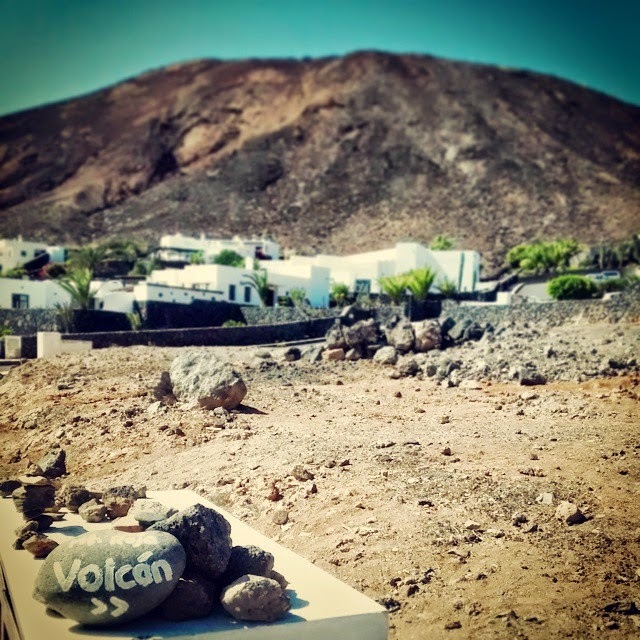 After the Raven’s Volcano we chose to climb Montaña Roja or Red Mountain which towers over the town of Playa Blanca on the Southern most point of the island. This time we didn’t have a car so we used public transport instead, a ‘guagua’ which is the name of the local bus here in the Canary Islands. 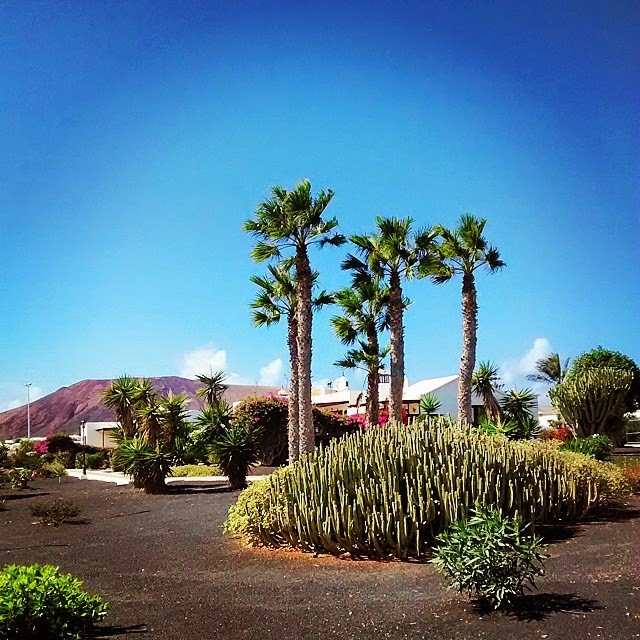 From the Bus Station we walked over to the Montaña Baja neighbourhood right in front of the volcano. You will pick up the dirt path at sign painted on a rock. From here on the route is well-worn and easy to pick out. In fact it’s so easy that we wore our flip-flops and we didn’t have any problems on the way. The path gets slightly steeper while it leads you to the top of the rim it only takes about 10 min to get there from the stone sign. From here on it’s a gentle walk as this volcano blew an almost perfect crater. You can start off in any direction. As you look down into the crater you will notice how many people laid out stones to spell out their names. Quite an interesting sight! You can walk around the rim or go across it following the path. 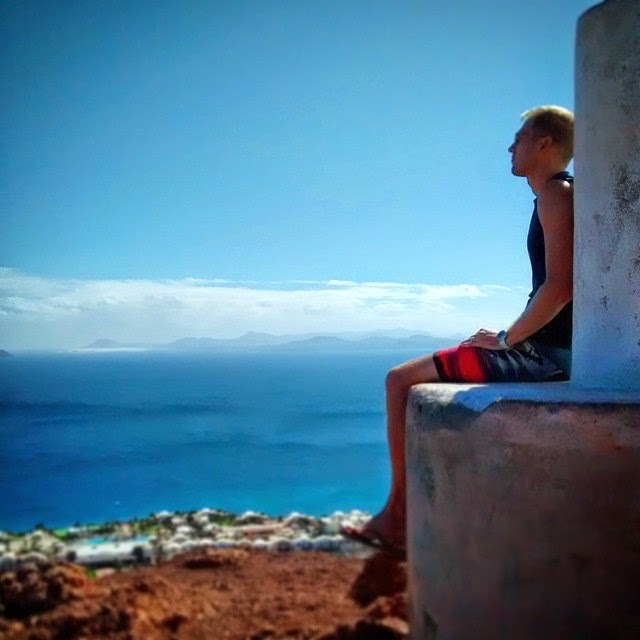 Don’t forget to look out as the island of Fuerteventura can be clearly seen from the highest point of the crater. Further on you will see Playa Blanca and its lovely beach, Playa Flamenco. If you look North the horizon is taken over by the numerous volcanoes of Timanfaya National Park. 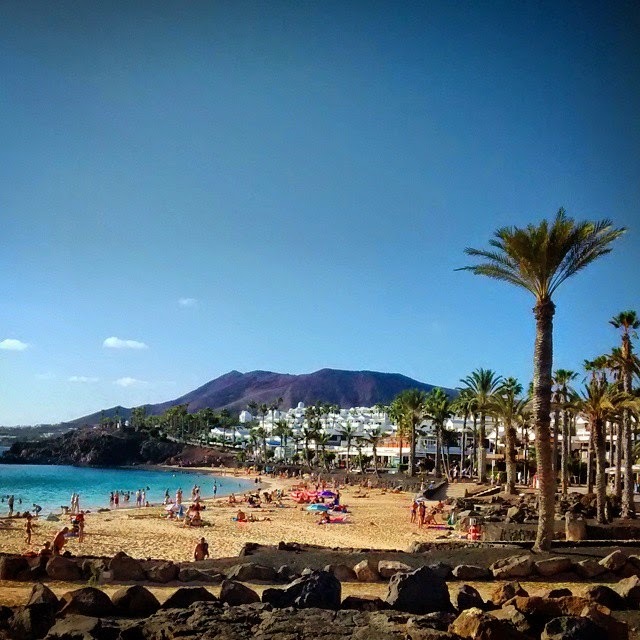 After our traditional weekend volcano stroll we went to find the inviting-looking Playa Flamingo and had a dip in the sea. A lovely ending to a lovely weekend. The walk is only about 3km long and took us about 45 min (including the 434 photo stops). It’s a nice family walk with impressive views around. Don’t forget to take sun cream with you as there’s no shelter and the sun can get quite harsh here! Also take plenty of water with you as there are no refreshment opportunities around however there will be plenty down by the beach after!